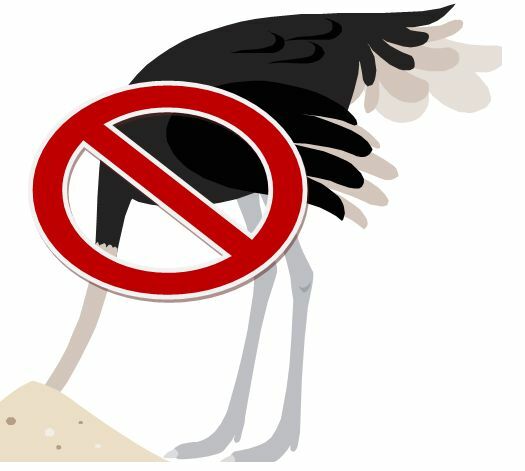 First, read Risky Business – No Ostriches Allowed – Part 1 – Identifying Project Risks. I left off talking about how I use PMBOK’s® 5 process areas and 9 knowledge areas to identify risks. The 5 process areas are initiating, planning, executing, monitoring and controlling and planning. The 9 knowledge areas are integration, scope, time, cost, quality, human resources, communications, risk, procurement. If the goals, objectives and customer requirements for the project are not understood, the project will not be successful and stakeholder satisfaction will be adversely affected. If the project does not align with the organization’s strategic objectives the project outcome will not meet the needs of the organization and could result in wasted effort, resources and time. If the project team and/or sponsor do not review and approve the deliverables of each project phase in a timely manner, it could adversely affect the project schedule and budget. If the required resources are not available for a phase, the project schedule and budget could be adversely affected. Needless to say, there are many more, but I wanted to give a few examples to get us started. There are also risks that are unique to each phase. In the initiation phase, we want to come out with sponsor approval to move forward with the project and the foundation of the project . A business case and feasibility assessment should be done prior to the initiation of a project. If they are not done or not done correctly, the initiation phase will not be successful and subsequent phases will also suffer. Many a project has fizzled and died a slow death because the business case and/or feasibility assessment were not done or they were done poorly. As we move through the project phases, the costs of errors and poor planning increase geometrically. Better to do the upfront work and determine a project is not necessary, too expensive or needs refinement, than to plod on and hope that everything will work out. A key risk to be aware of during initiation is the lack of sponsor or organization support. Do not proceed until the project has the support required to go forward. The planning phase is dependent on initiation being done and approved. Delays in initiation will impact planning. When planning we must consider all the knowledge areas. Rushing through planning to get to the “real work” is the inception of many project issues and problems. If there is not a clear plan for the knowledge areas in the project management plan, there will be problems in the following phases. Again, spend the time needed to plan the work, and the execution and monitoring and controlling phases will go much smoother. Establish contingencies for all the knowledge areas. If change management is not addressed during planning, that will come back to bite you for the rest of the project. Execution is filled with potential risks, especially if the initiation and/or planning phases have not been done well. Your project management plan should address the usual risk suspects for execution; resource availability, scope creep, and budget overages. Your major responsibility during execution is removing obstacles and keeping the ship steered in the right direction. Constant vigilance from the project manager is required during execution. At the same time, you are responsible for communication to all stakeholders, giving them accurate and appropriate information. Your job will be easier during this phase if you have set and continue to manage the stakeholders expectations. Everyone who has “skin in the game” needs to understand their role on the project and what is expected from them. Monitoring and Controlling is the constant vigilance role. Based on your project management plan, you should have the tools and processes to deal with integration, scope, time, cost, quality, human resources, communications, risk, procurement. All of these tools and processes are harder to establish during execution, monitoring and controlling. If you do not set up the criteria during planning, how will you know what you are monitoring and controlling during execution? The biggest risk during closeout (IMHO) is never really closing the project. Sounds ridiculous, but it is difficult to get projects to close out in a timely and uniform fashion. I recommend planting the seeds for closeout in initiation. By clearly defining what “complete” looks like, you have an easier time of closing out the project when it is done. I let the sponsor know that we will be doing lessons learned, packing up all the organizational process assets (OPA) and reviewing and approving all the deliverables at the end of the project. By completing and reviewing these activities with the sponsor, I am reminding them that the project is finished. It helps to review deliverables throughout the project as they are completed so that the final approval is less overpowering for the sponsor.